No longer is direct sunlight an issue. 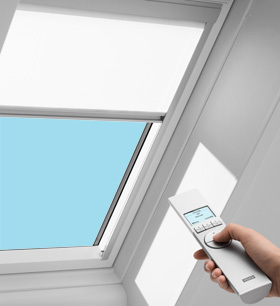 With the new VELUX light diffusing shade soft, diffused light is all that will enter your room. Perfect for rooms when soft light is desired such as kitchens and bathrooms. No matter what type of light you want from your skylight, you can find the blind to do the job. Now in a variety of colors to accent every room in the house!